Milwaukee , Wis. (January 31, 2019) — Brady (NYSE:BRC), a global leader in industrial and safety printing systems and solutions, announced the launch of a new color label printer designed to improve efficiency through the creation of clear, colorful identification that withstands the harshest environments. The new printer – called the BradyJet J2000 Color Label Printer – offers millions of color options to enable users to create any color they need for more engaging communications. When paired with Brady’s high-performance material, this printer creates long-lasting labels with inks and adhesives that survive harsh lab environments including liquid nitrogen, autoclaves, hot water baths, freezers and more. In industrial facilities, BradyJet J2000 labels perform well under the demanding conditions created by grease, solvents, dust and abrasion. The BradyJet J2000 Color Label Printer’s compact and lightweight design was created specifically for lab and manufacturing environments, where space is limited. The printer’s color variations benefit laboratories by reducing errors and improving clarity by easily differentiating hundreds of samples, while manufacturers achieve more impactful communications that improve safety, learning comprehension and clarity while also reinforcing training. Label customization options add to the label possibilities such as including photo-quality images on labels and the ability to create GHS labels, multicolor pipe markers and more. Using the Brady Workstation Safety and Facility Identification Software Suite and the Brady Workstation Laboratory Identification Suite to design and print labels greatly minimizes trial-and-error efforts and improves a user’s speed to deliver exactly the label needed. 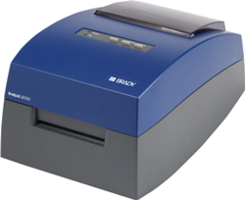 The BradyJet J2000 Color Label Printer provides quick identification with single pass printing, print speeds up to 2.5 inches per second and 4800 dpi print resolution. It also includes print smart technology that automatically communicates details among the printer, software, label materials and ribbon materials to make label setup and creation fast and easy. Learn more about the BradyJet J2000 today at BradyID.com/J2000.